The wreath form was purchased for 25 cents at a re-store (I was thrilled at this find), the burlap I found for 50 cents at a church sale (another super deal, especially with burlap being so popular right now), and the rafia I purchased at a dollar store. The beads came from my crafting stash. Total cost = $1.75! I’m pretty happy with how it came out. 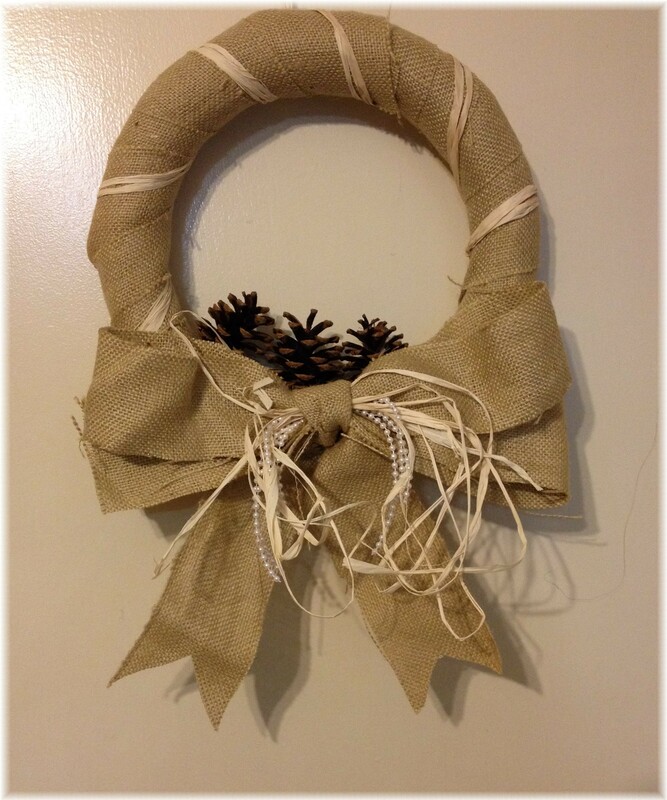 This entry was posted in General Crafts and tagged burlap, wreath.